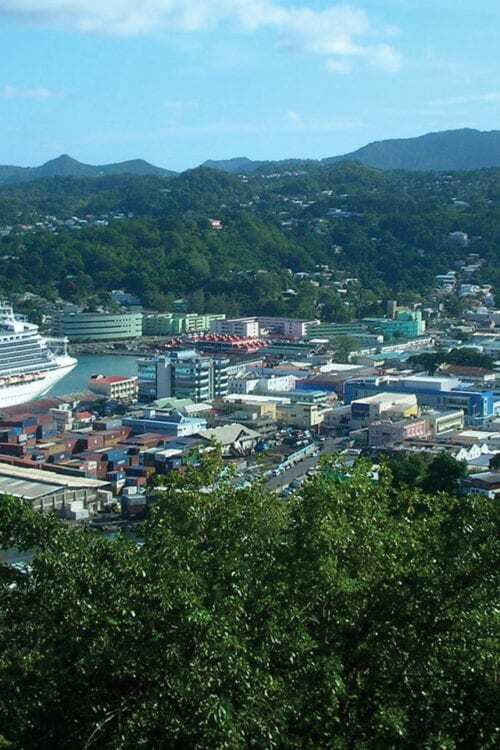 Come to St. Lucia and it will not take you long to see why the island became known as the Helen of the West Indies – and why the French and British empires spent almost two centuries fighting to possess her. While there is no shortage of accommodation for independent travellers in search of traditional Caribbean living, the island has recently added a number of all-inclusive beach-side resorts. These are found mostly on the north coast where the sand is as white as talcum powder, the sunsets are unforgettable and most of the sports action, nightlife and entertainment is found. 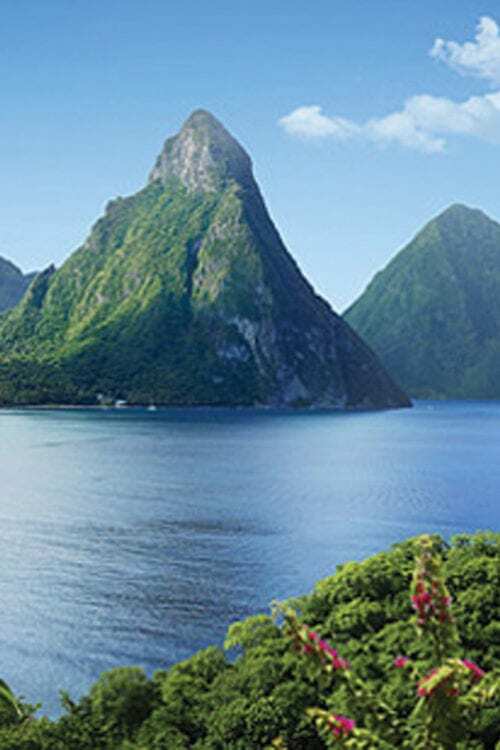 Combine the natural beauty of the Caribbean with the excitement of trekking into remote locations. Hike to mountain tops to see numerous eco-systems and the best views in the Caribbean, plus traditional tropical relaxation & fun. In the capital you will find narrow streets, historic landmarks and colonial buildings. 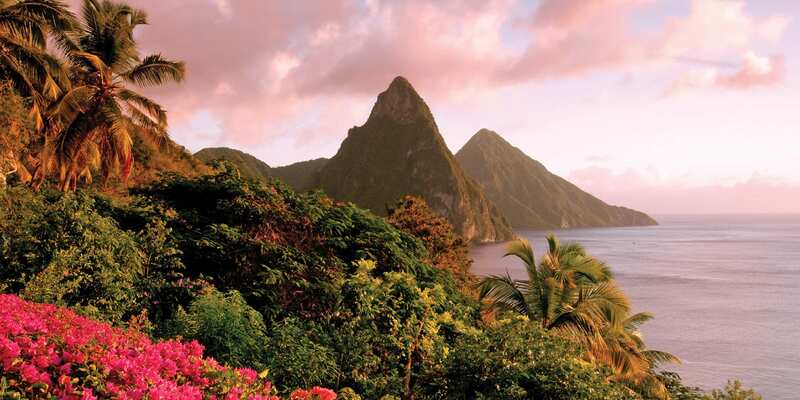 Known for its dramatic twin peaks, the Pitons rise to more than 2400 feet. These two volcanic cones are visible for miles.